arcades used to cover the landscape in the 1980′s the same way buffalo did in the early 19th century. then one day we woke up and all the video games and bison herds were gone. ok, well… that’s an exaggeration. the buffalo came back from near extinction (there is a herd outside of pittsburg, ks), and a few 80′s arcades have also returned. one of them is inside square pizza in independence, mo. $5 at the register will give you unlimited play. 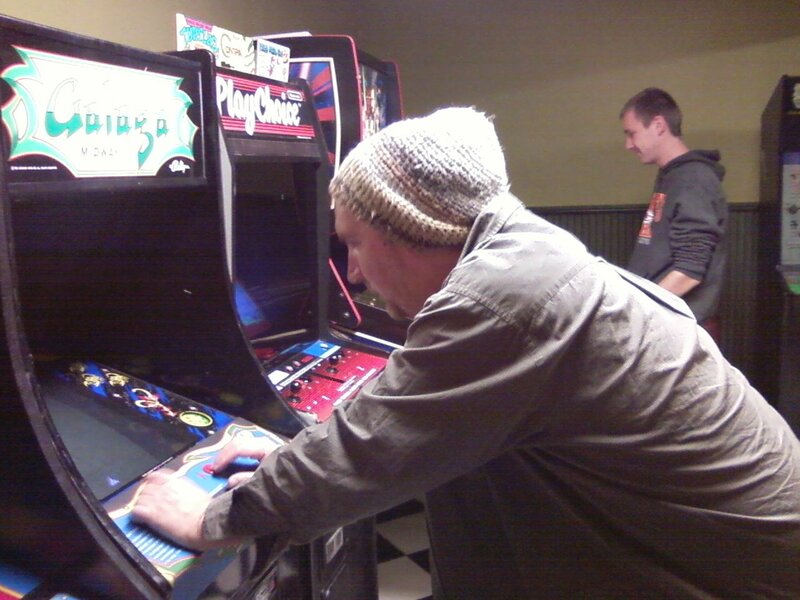 josh, christy, and i had games like moon patrol, galaga, tron, and rampage all to ourselves last sunday.